By Mitch Ocran. Donations go to Saha Global. Minimum donation is $2. Any amount above $2 is tax-deductible. 100% of project revenue goes to Saha Global. Mitch Ocran will be notified of your name and donation amount. 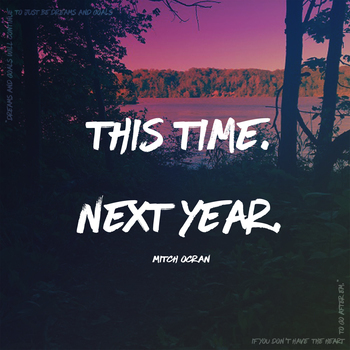 In the summer of 2018, I released "This Time. Next Year." an instrumental soundtrack inspired by the emotions, moments, and learnings I experienced while making my first project. In an effort to merge my love for music with my passion for service, this project will be helping me fundraise for my trip to Ghana with Saha Global, a non-profit organization that partners with rural communities to establish sustainable water treatment businesses. As part of the organization’s Global Leadership Program, I will be traveling to Ghana in May of 2019. For a little over three weeks, I will be working with a team in an effort to aid women entrepreneurs in building clean water businesses in villages surrounding the city of Tamale. These businesses are owned and operated by women in the communities they serve and will provide a permanent source of drinking water for the entire community while providing a small income for the women who run them. The capital necessary to build these businesses is gathered through fundraising, and as a Field Representative, I am responsible for generating a portion of that ($3,500). 100% of the money generated from album purchases will be used to buy equipment needed to build the water treatment system, as well as supply housing, food, and transportation for me while I'm in Ghana. Any and all donations are appreciated! Thank you so much in advance for your help in empowering Ghanaian women while bringing clean water to communities that desperately need it.